These slideshow images show repair works taking place on Lancaster Road in Morecambe. 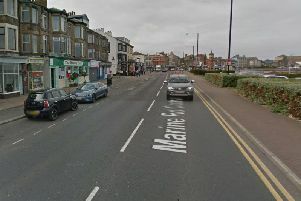 Part of the main road through Morecambe will be shut for a month as major road works continue. The resurfacing work is taking place between Branksome Drive and South Grove every day from 8am to 5pm until August 26. Diversions will be signposted and Sainsbury’s supermarket will remain open. Thanks to David Chandler for the pictures.